Since 1993, Mr. Warren has represented employers in the employment and labor law field, with an emphasis on litigation prevention counseling and employment litigation defense. Mr. Warren has served as lead counsel in numerous bench and jury trials at the state and federal level and on state and federal appeals. 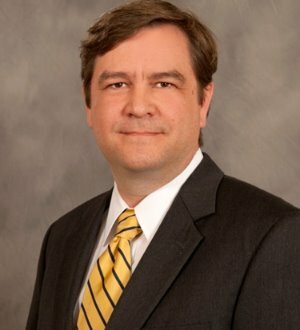 He became a founding member of Ogletree Deakins’ Birmingham office in 1997. Mr. Warren’s litigation prevention counseling includes areas such as training employees and supervisors on employment law issues; assisting employers with deciding upon and implementing adverse employment actions; drafting, reviewing and revising policies, handbooks, employment contracts and agreements; and managing leave issues under the Americans With Disabilities Act, Family and Medical Leave Act and workers’ compensation laws. His litigation experience encompasses all forms of discrimination; equal pay, wage and hour, and leave laws; workers’ compensation retaliation; class and collective actions; non-competition and non-solicitation agreements; employment contracts; and compliance with Title III of the Americans With Disabilities Act. He also regularly represents employers in administrative investigations and mediations before the Equal Employment Opportunity Commission and the Department of Labor. Mr. Warren is a frequent speaker on employment law topics, and also serves on the Executive Committee of the Literacy Council Board, is a Board Member of Camp Smile-a-Mile, and is a member of Manufacture Alabama.